If you require medical assistance which cannot wait until the surgery re-opens, please call 111. Calls to the NHS 111 service are free from both landlines and mobiles. (Pay-as-you-go mobiles will have to have at least 1p credit to enable the call to be made, but you will not be charged). The NHS 111 Service will advise you of the best way to seek the help you need locally. If required they will call an ambulance for you. They will also advise your GP Surgery of the outcome of your call. If you have an urgent, life threatening medical emergency please dial 999 straight away. If you are suffering with chest pain, or possible symptoms of stroke (Facial weakness, Arm and leg weakness, Speech problems) please dial 999. To use SystmOnline you will need a unique username and password which can be obtained by completing the application form below. Please bring the completed form along to reception with photo ID and we will give you your login details. Once you have your login details pelease click the link below to access our online services. When you attend for a test of any kind you will be told how long you should expect to wait for the results. Please bear this in mind and call the surgery after 14.00 o'clock once sufficient time has elapsed. The Data Protection Act 1998 and the Access to Health Records Act 1990 gives patient the right to apply for access to their health records. 2. WHAT ARE HEALTH RECORDS? A health record contains information supplied by the patient, parent and by others involved in an individual’s healthcare. This practice holds records in the following formats:- Paper up to circa 2002 and computerised records (with previous history summarised) after that date. Computerised Record - All records are now computerised and include a summary of previous medical history. An application for access to health records held by this practice must be made in writing. We must have sufficient information to enable us to identify the patient and locate the records. An application form should be attached to this information leaflet or you can request one from the receptionist. 5. WHERE SHOULD APPLICATIONS BE SENT? Once we receive your completed form, we will locate the records, prepare the required copy and obtain the Doctor’s authority to release them. To be granted access to records within a maximum of 40 days from receipt of your written request. To request access to information held in manual and computerised form or any other forms, of whatever date. To an explanation and clarification of anything that is unclear. To ask for corrections to be made to the record. If the health professional does not agree with this they are obliged to make a note on the record that the correction was requested. 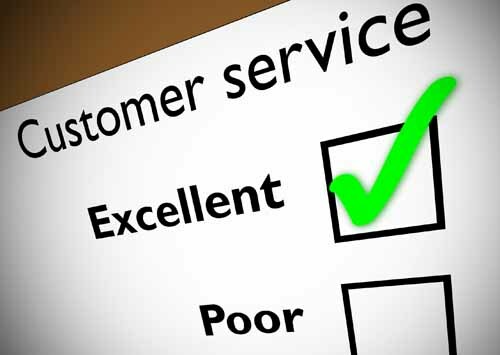 To complain if satisfactory service is not given. If a disproportionate effort is required to copy a whole record. If this is the case, then with your agreement we can either supply an extract or the record may be viewed. If the record contains third party information and the third party does not agree to disclosure. Why you saw a health professional. Details of clinical findings, care and advice given by the health professional and information given by you. Options for care and treatment the health professional discussed with you and decisions made. Details of action health professionals have taken and the outcome. By signing the application form you are agreeing to your representative receiving copies of your health records containing the above information. Therefore, it is very important to complete sections 4, 5 and 6 of the application form in as much detail as possible otherwise you may be consenting to reveal more information than you wish to your representative. If you are a representative applying on behalf of the patient e.g. a solicitor, then you must discuss the implications of the request before you ask your client to sign the form. The patient should be clear as to the purpose for the request and the notes, once received, should be used for no other purpose without the clients consent. It is very important to complete sections 4, 5, and 6 of the form in as much detail as possible to prevent access being given to more information than is necessary for the purpose it is required. Access to patient records will only be granted with an-up-to date consent form of no more than 6 months.